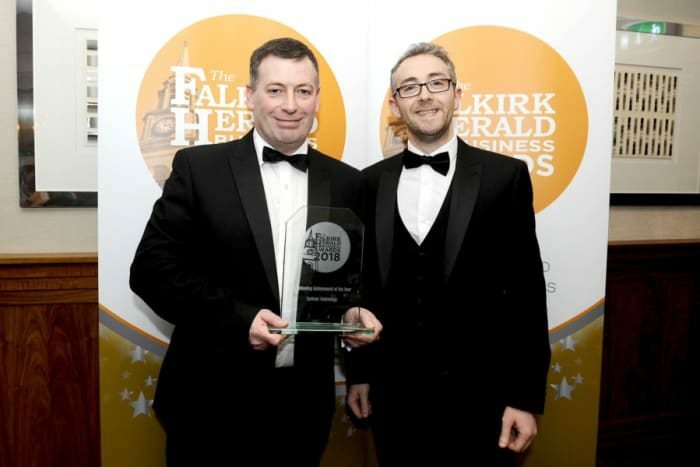 Yesterday, Lynkeos was crowned the Best Startup at the Falkirk Herald Business Awards at a glitzy ceremony at Airth Castle. We were honoured to also pick up the Outstanding Achievement of the Year Award for our “truly innovative work” since setting up in Falkirk. You can read more about the evening here where you’ll find a video of the ceremony. Thankfully, all speeches have been edited out!